Royalty Left to Right. Little Sir, Styker Schapelhouman. Ambassador, Makenna Carmichael. Junior Ambassador, Nevaeh Carmichael. Little Miss, Cloe Mann. When you see them around, stop by and get a photo with them! To get to know them a little bit more, read below! Makenna is 17 years old and the daughter of Paula Carmichael. She currently attends South Grenville District High School and she works at the North Grenville Public Library. As she works in a public library it’s only natural that reading is one of her hobbies, besides playing hockey, staying active at the gym and other sports. She plans to attend a university with a goal of achieving a B.A in Neuroscience and Mental Health. She is a strong supporter of community involvement and giving back to this community, whether it’s having a delicious dinner at Joe’s or Little Sisterz or heading over to Joe’s Gym. 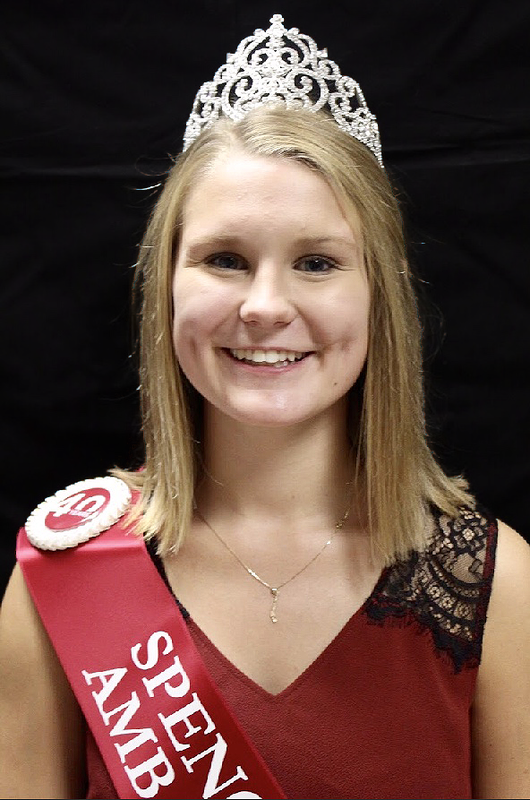 She loves the opportunity to become the 40th Fair Ambassador so that she can better represent her community and not only through this upcoming year but for the rest of the years to follow. Nevaeh is 14 years old and is the daughter of Paula and Shawn Carmichael. She is in grade 10 and attends St. Michaels Catholic High School. She is currently employed at the Spencerville Mill and Museum as a tour guide. When she’s not taking people through the history of Spencerville, you can find her playing hockey, tennis or strumming on her guitar. She plans to attend university and obtain a good paying job so she can have her own home and raise a family. 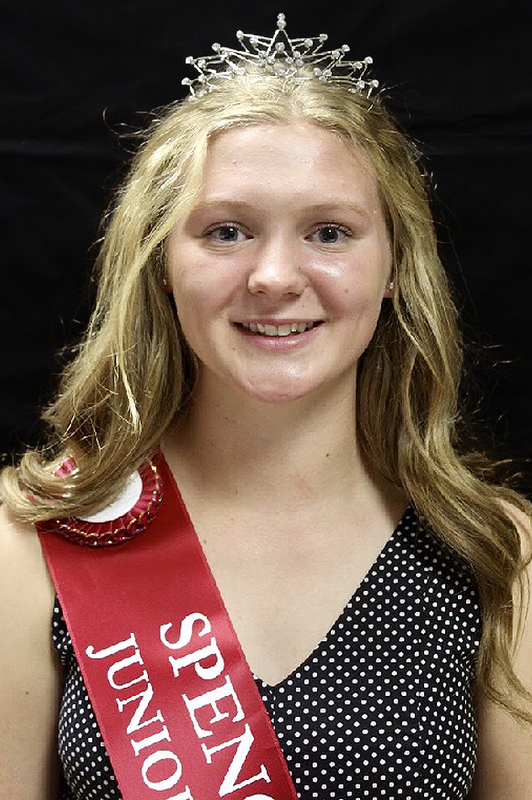 She spends a lot of her time volunteering at the Spencerville Mill, Southgate sports club, and at local youth mission trip. She is excited to be the Junior Ambassador because she knows she has the potential to do great things with our community. She also looks forward to the opportunity to learn more about our towns agriculture. Cloe is 7 years old and is the daughter of Shannon and Nolan Mann. She is in grade 2 and attends Centennial ’67 Public School. When it comes to school, she loves learning, gym and playing with her friends. She enjoys playing with her little brother and her toy horse named Pepper. When she grows up, she would love to become a singer. 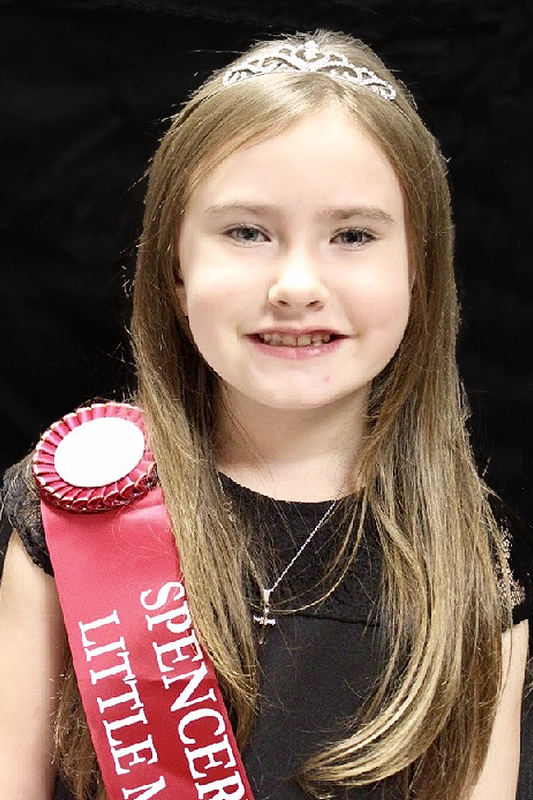 Her favorite thing about the Spencerville fair is THE RIDES and of course, meeting new friends. 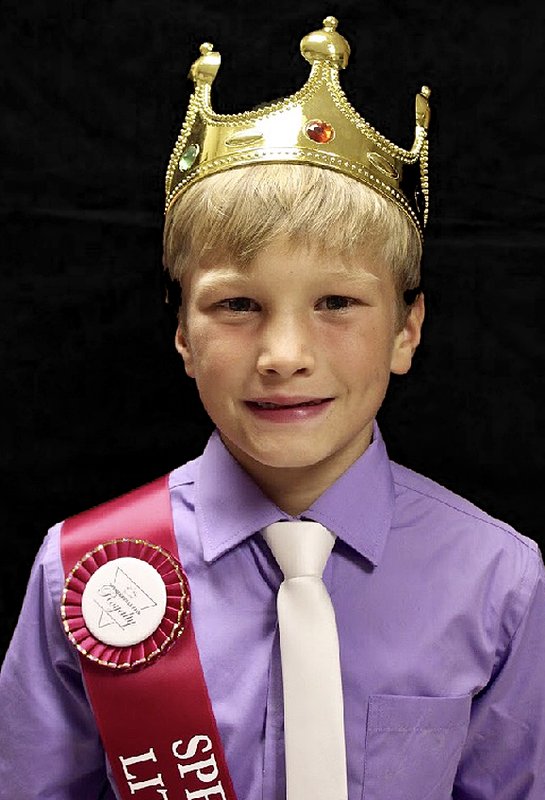 Stryker is 7 and the son of Sam and Matthew Schapelhouman. He is in grade 2 and attends Maynard Public School. His favourite thing about school is cross country, gym and playing outside. He enjoys playing with his four brothers. If he’s not playing PS4, or competing on the swim team, you can find him on the ice playing hockey for the ‘Valley Elite’ team. When he grows up he would like to be a football or playing hockey player, but possibly a policeman. His favourite thing about the fair is missing school on Friday, eating food, hanging with friends, and watching the 4-H show with his brother Schylar. This event could not be what it is without these following sponsors.